For many of our community members, frequent or sudden diarrhea is the most frustrating IBS symptom. Diarrhea can interrupt your day (again and again), make you feel dehydrated, and even give you sensitivity or soreness down below. To manage the difficulties of diarrhea, some patients use Over-The-Counter products, and others rely on prescription medications.3 If you experience diarrhea, be sure drink plenty of water to avoid dehydration (typically one extra cup of water per bowel movement).4 To prevent soreness after several trips to the bathroom, many of our community members also recommend having bathroom wipes readily available, including at home, at work, and in your car. Although many people experience occasional flatulence and bloating, if you have IBS, you know that frequent gas and bloat can be very frustrating. 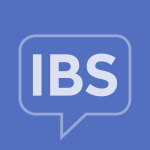 For people with IBS, gas is more common with diarrhea-predominant IBS, while bloating is more common in constipation-predominant and mixed-IBS. According to community members, IBS-related bloating can make you feel like you have “bloat baby”, or just feel generally uncomfortable. However, research suggests that antibiotics or other medications may help with IBS-bloating,5 so talk to your doctor if you are struggling with this uncomfortable symptom. Whether you’re around people and don’t want to attract attention, or if you can’t get the gas out, not being able to release the pressure of IBS flatulence often makes your abdominal discomfort worse. For many community members, you know how frustrating it can be to feel physically uncomfortable while holding your gas in, and then equally as embarrassing if your gas escapes. If you’re feeling gassy and frustrated, consider one of these methods to reduce gas (such as supplements, essential oils, or probiotics). For many community members, constipation is the most frustrating part of IBS, especially when you get that feeling of incomplete relief, even after having a bowel movement. For many of you (especially those affected by IBS-M), the most frustrating part of IBS is bouncing between constipation and diarrhea, particularly when taking laxatives or fiber supplements. While some people seek constipation relief through medical remedies,6 you might also consider these exercises for nature constipation relief. For many patients, the most frustrating part of IBS is dealing with the urgency and unpredictability. Whether you’re experiencing sudden diarrhea, or wondering how you’ll feel at a special event, the surprises of IBS are never welcome. To get ahead of IBS incontinence, our community members suggest keeping necessary supplies on hand, such as a change of clothes/underwear, wet wipes, and anti-diarrheal medications. If your flare-ups tend to come on suddenly, you may find yourself cancelling plans, or avoiding commitments all together, to prevent a mishap. Although you can’t completely control your IBS, many of our community members use a symptom diary, and keep IBS-supplies on hand (like medications, safe snacks, and extra clothes) to minimize the impact of IBS unpredictability. For many of you, the most frustrating IBS symptom is the worrying. Whether you’re figuring out what you can eat, thinking about how to find the bathroom, or even worried about the noises and smells coming from your body, all the IBS worries can make it difficult to cope. If you’re constantly worried about your IBS, spend some time on self-care and stress management. Coping with IBS is a journey, and for most patients, it takes time. If you need help managing IBS stress, you can also seek help from a therapist, lean on your family and friends, or get help from the IBS community. Health Union. "Common symptoms of IBS." IrritableBowelSyndrome.net, Health Union, irritablebowelsyndrome.net/symptoms/. Accessed 25 Sept. 2017. Health Union. "Symptoms of IBS: Stomach pain and cramps." IrritableBowelSyndrome.net, Health Union, irritablebowelsyndrome.net/symptoms/stomach-pain-common-sign-symptom-of-ibs/#. Accessed 25 Sept. 2017. Health Union. "Symptoms of IBS: Diarrhea." IrritableBowelSyndrome.net, Health Union, irritablebowelsyndrome.net/symptoms/diarrhea-common-sign-symptom-of-ibs/. Accessed 25 Sept.2017. Downward, Emily. "The importance of water." IrritableBowelSyndrome.net, Health Union, 10 Feb. 2017, irritablebowelsyndrome.net/living/the-importance-of-water/. Accessed 25 Sept. 2017. Health Union. "Symptoms of IBS: Bloating." IrritableBowelSyndrome.net, Health Union, irritablebowelsyndrome.net/symptoms/bloating-common-sign-symptom-of-ibs/. Accessed 25 Sept.2017. Health Union. "Symptoms of IBS: Constipation." IrritableBowelSyndrome.net, Health Union, irritablebowelsyndrome.net/symptoms/constipation-common-sign-symptom-of-ibs/. Accessed 25 Sept. 2017.